This is a Cool Plant! Scilla peruviana. 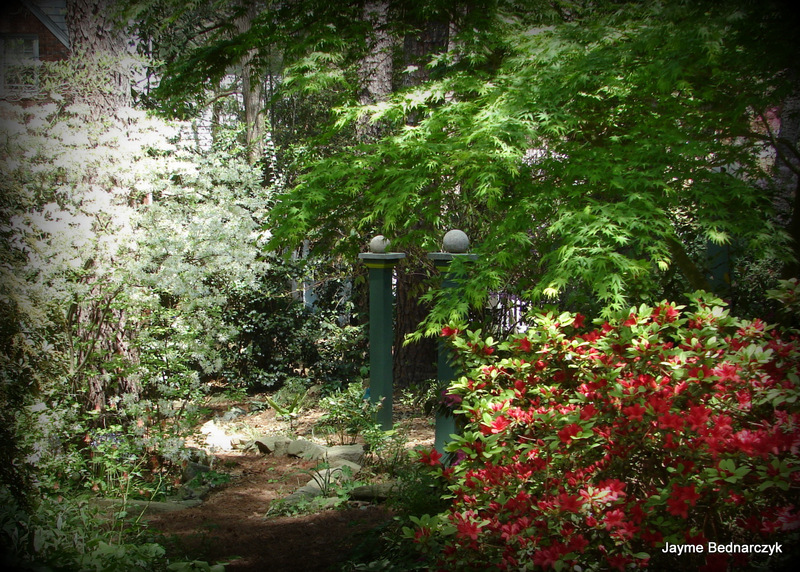 After Visiting Amelia Lane’s Garden – Under the Loblolly Pines – one always leaves with a Lasting Impression! 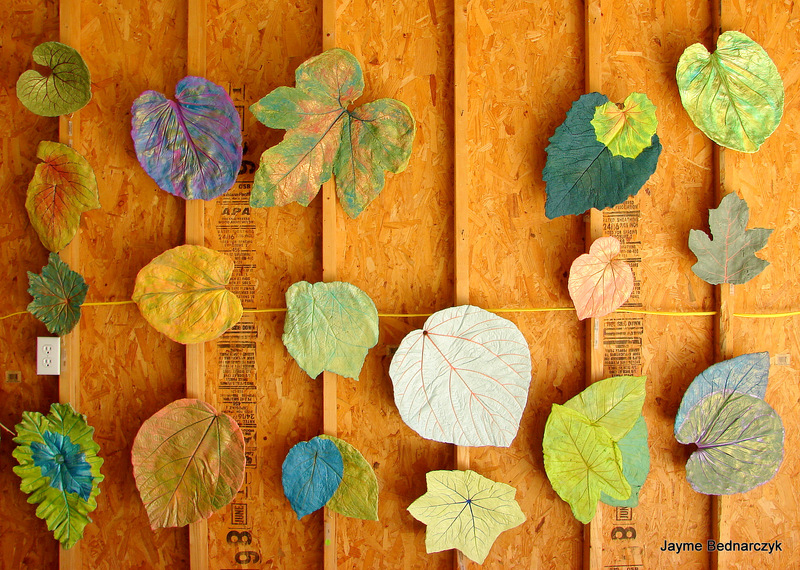 … And a list of Cool Plants! 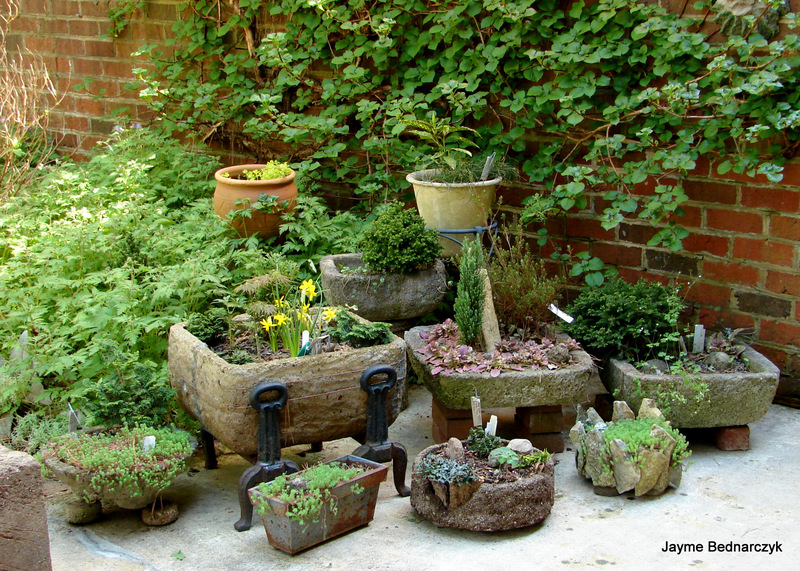 This Saturday, in Raleigh – you can take home a Lasting Impression and Cool Plants! Beautiful Tulipa clusiana sway under a light breeze along the driveway. 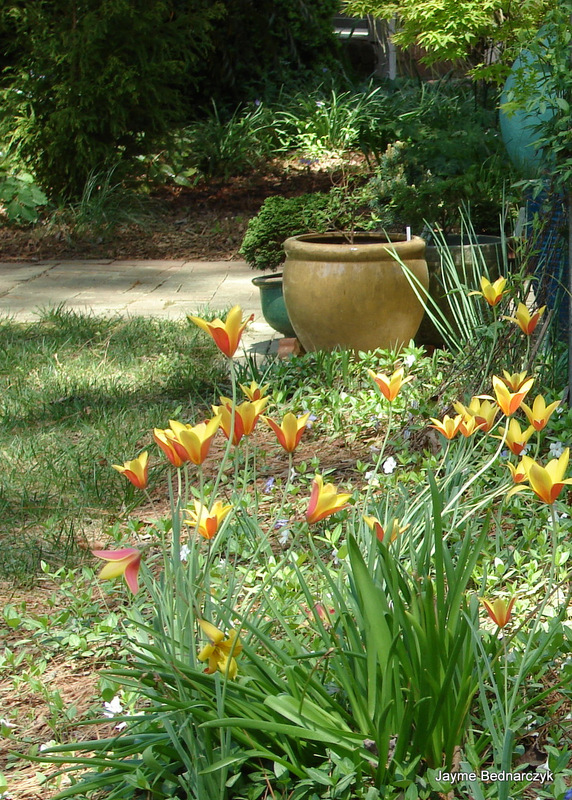 These sweet tulips return year after year in zone 7 and multiply – when other blousey tulips are treated as annuals. The lower gardens filled with Rhododendron ‘Alba’, Azaleas and spring ephemerals which burst into bloom on cue last weekend perfect to be featured on the Garden Conservancy Open Days Tour. This lovely garden will be open again this Saturday! We all know the that the early bird gets the worm. 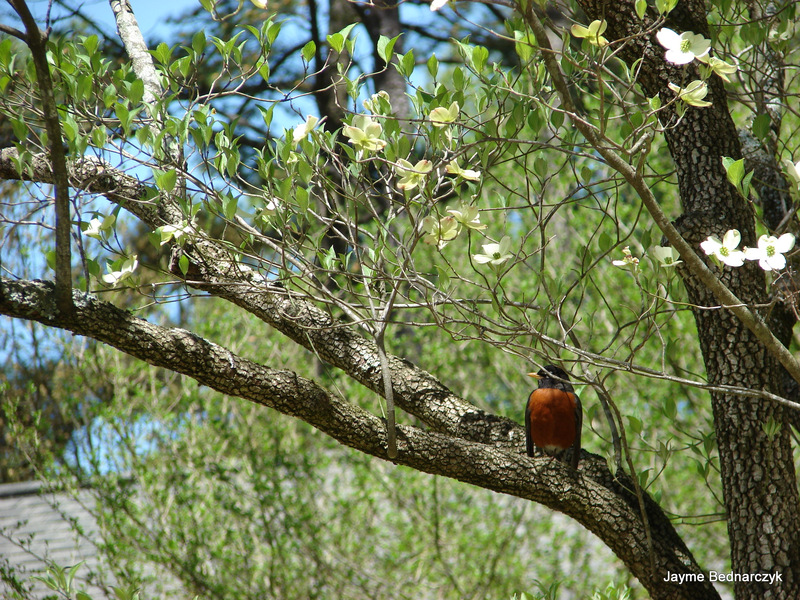 This Robbin is already waiting in a Dogwood – Under the Loblolly Pines. Lasting Impressions’ Welcome to Spring lawn party! 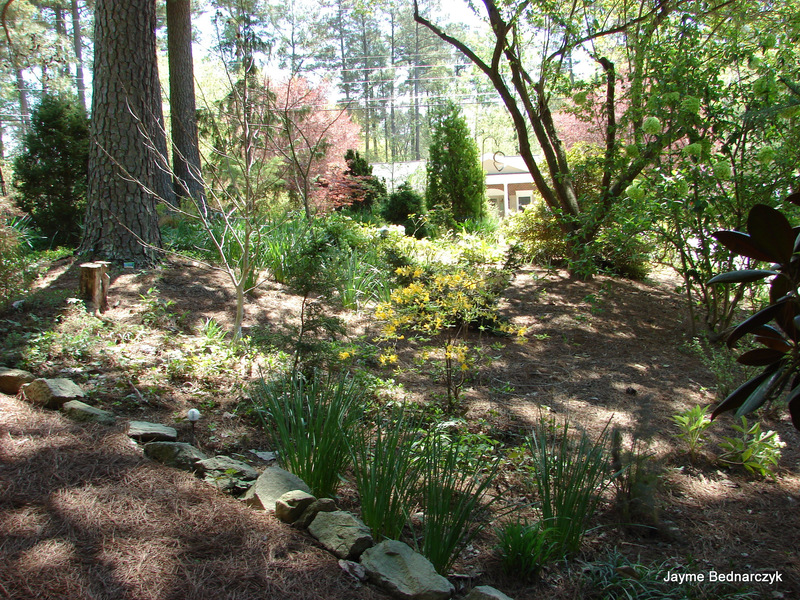 This entry was posted in art, photo, Plants and tagged art, Azalea, birds, Crafts, Garden, Garden Conservancy, Garden tool, Hypertufa, Lasting Impressions, Open Days Tour, Raleigh, Rhododendron. That is a cool plant! Brent and Becky’s Bulbs has it!